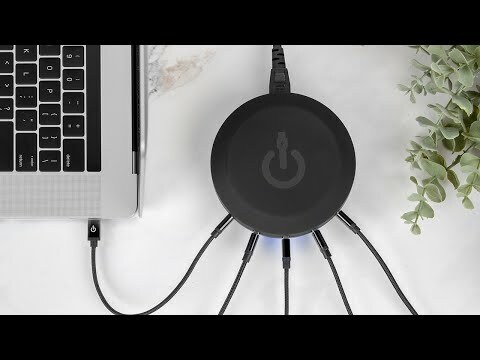 Keep your devices fully charged and your cords organized with this ChargeHub™ X7 accessory that can be used with standard vehicle cigarette lighter ports in a variety of vehicles. Dimensions: Plug: 3.5" x 0.75"; Cord: 12" to 78"
Need new plug in cord. I need a new plug in cord for my 5 port hub as my cat chewed part way thru the cord. How do I order this? I love the charge hub! I have one for use at home and one for travel. I just bought a third to keep in my car. I highly recommend this product. Works well, stays inserted and hasn't failed me yet. Hardy cable. Able to charge my Kindle, BlackBerry, and a Galaxy 4. Great buy.